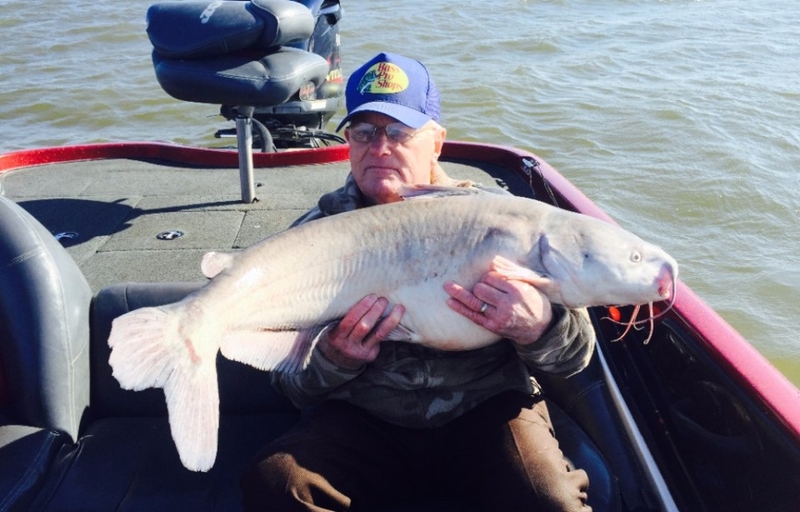 I have been a Lake Lewisville fishing guide for over 31 years, and I have fished Lake Lewisville for over 40 years. No other Lake Lewisville fishing guides have the experience and knowledge that I do. I have fished Lake Lewisville in almost every condition imaginable. If you want the best and most knowledgeable fishing guide for your Lewisville Texas fishing trip call me. I fish tournaments all over DFW and North Texas, and I am familiar with all the area reservoirs. I use artificial lures because they produce larger and more frequent fish. Artificial lures give you more consistent fishing fun and put fish in the live wells a whole lot faster. Using live bait is the closest thing you can do to not fishing, you drop your bait and just sit and wait for a bite. The fun of fishing is learning how to trick the fish, you don’t learn this with live bait. Most people that have been on my guided fishing trips have caught the largest fish of their life. I believe artificial baits make for a more productive fishing trip. 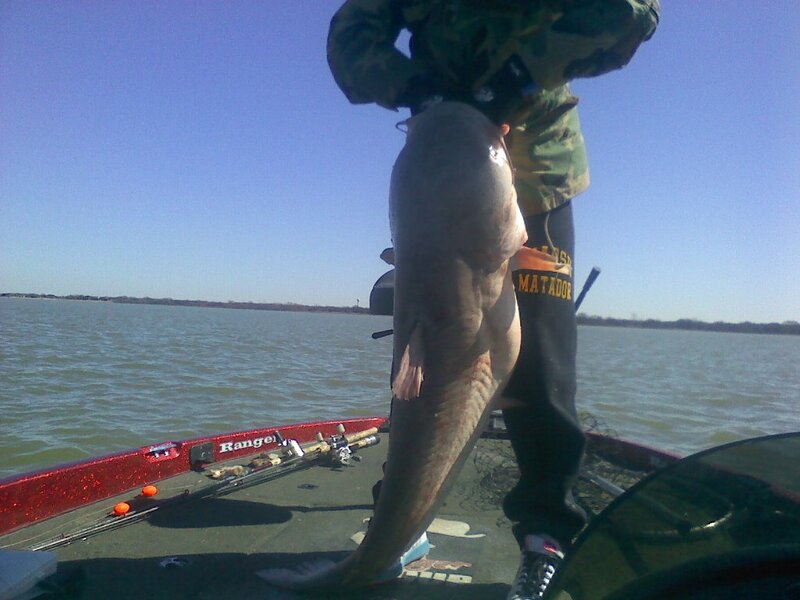 I offer a full-time Lake Lewisville fishing guide service, fishing 7 days a week. Some guides only fish weekends, I fish Lake Lewisville every day. I always know where the fish are holding because I simply spend more time on the lake. No matter the time of year there is always some type of fish biting, and I can catch them year-round. I fish all DFW and North Texas Lakes, including Texhoma, Lake Fork, and Ray Roberts on a regular Basis. Please call 214 629 1628 or Email: bassridge2003@yahoo.com for trip rates. Prices may vary based on time of year, length of trip, the number of people and what you would like to fish for. Your keeper fish are stowed in a live well guaranteeing maximum freshness. At the end of your trip, fish are filleted and bagged. You go home with fish ready to eat. Don't forget to tip the guide for fish cleaning service. After a productive day on the lake will you enjoy not needing to clean fish. Trust me, fish cleaning service is worth every penny. All fishing Tackle, Bait, Poles, Lures are provided on loan for your fishing trip. Bring your fishing license if you are over 17 years old. Children are required to wear life jackets on my boat. I have many loaners life jackets and provide them free of cost. If you would like to bring your own fishing equipment to feel free, just remember there is limited space on the boat. Read more about what to expect on your trip at About Guided Fishing Trips. We are a full-time Lake Lewisville Fishing Guide Service, fishing 365 days a year. I fish for it all, no matter the species of fish. If it swims I can catch it. 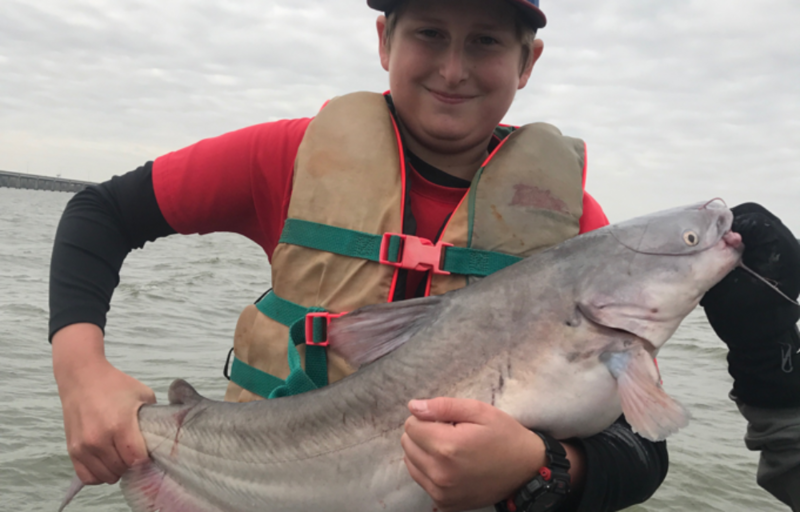 From lake record Hybrid Bass to trophy Blue Catfish. If you're looking for numbers on Crappie or Sand Bass I can put you on them. I also offer Black Bass tournament coaching and instruction. 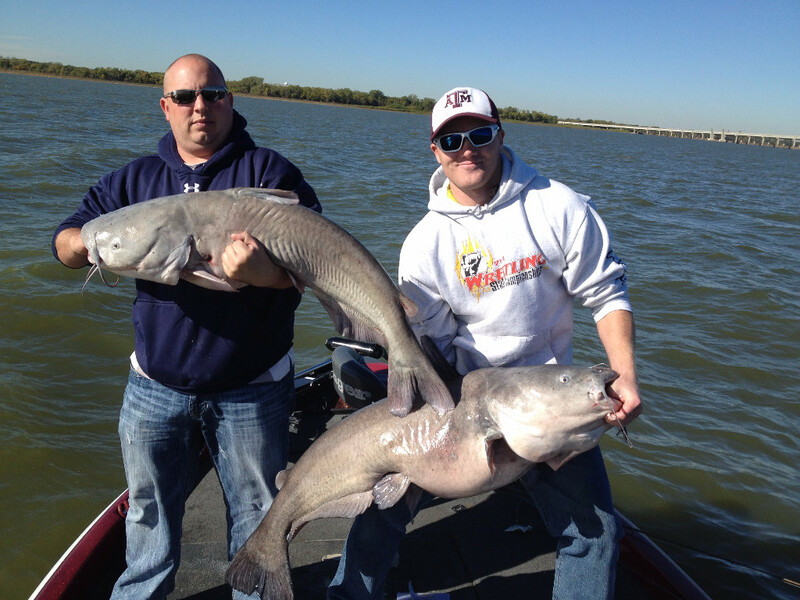 I provide year around Lake Lewisville Fishing Trips. Fishing can be a great team building activity for companies, co-workers and groups. Guided fishing trips build trust and experiences that help employees unwind. A guided fishing trip is a great opportunity to build memories that last a lifetime. Find your corporate ZEN on the lake with a guided fishing trip. If you are not an experienced fisherman, don’t worry I can show you the ropes, and you will be hooking the big ones in no time. I fish with all ages of people from all walks of life from all over the world. 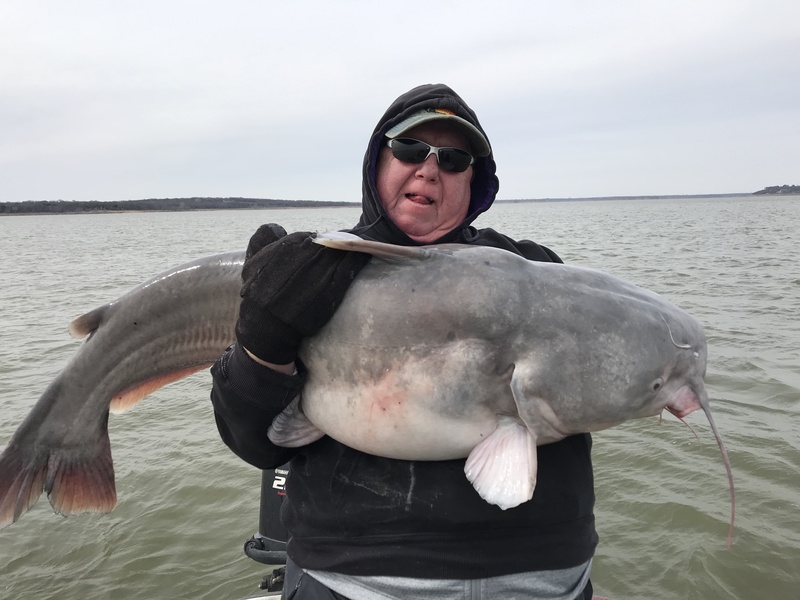 Don't be fooled by other Lake Lewisville fishing guides, I have been a Lake Lewisville fishing guide longer and know where the best spots are, no matter the time of year or lake condition. I know North Texas fishing Like no one else. Children and beginners are welcome on my boat. 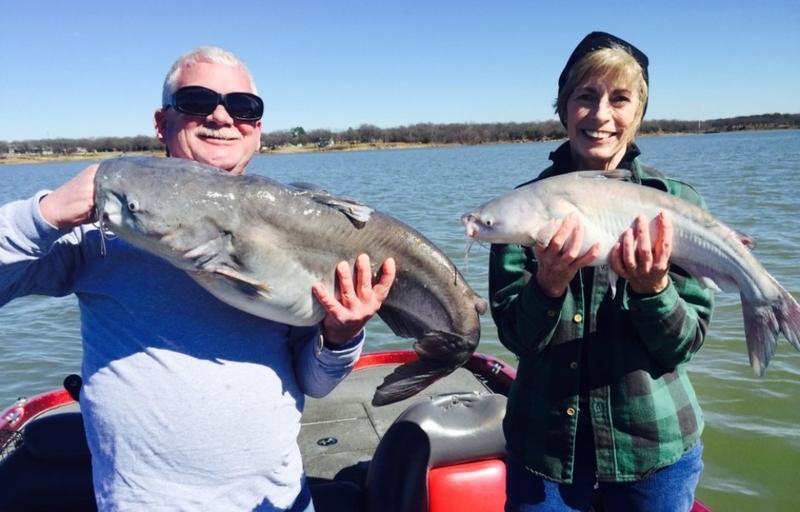 Most Lake Lewisville fishing guides can’t guide for multiple fish species. I can guide for Crappie, Hybrid Bass, Sand Bass, Blue Catfish, Channel Catfish, Flathead Catfish and Black Bass. If you are interested in fishing multiple fish species choose Steve’s Professional Guide Service for your next guided fishing trip. I use my fishing Knowledge and experience and build a guided trip around your needs. Let me know if you want to include multiple species in your fish trip. I fish with families and kids all the time. If you would like to introduce your kids to a fun outdoor activity, then a guided fishing trip is a great option. Get your kids off the couch and bring them on a guided fishing trip with me. I am great with kids and I love to teach them about fishing. 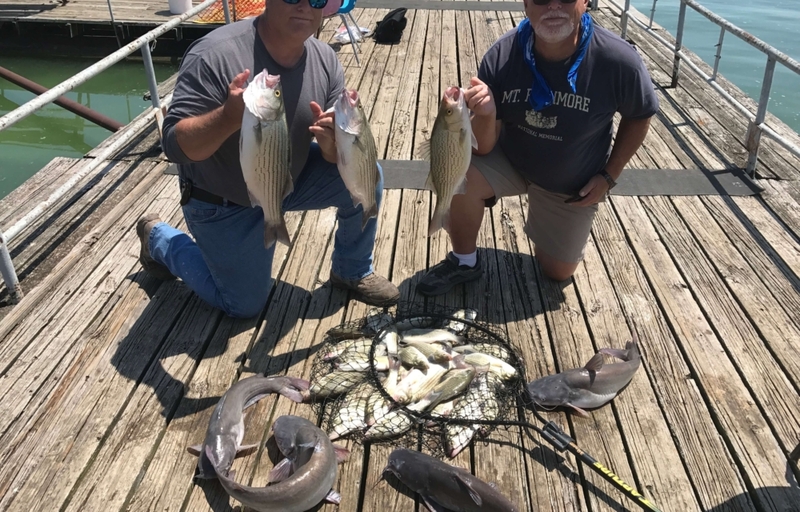 Some Lake Lewisville fishing guides charge extra for trophy tours, I only run one type of tour, and it's always for trophy fish. 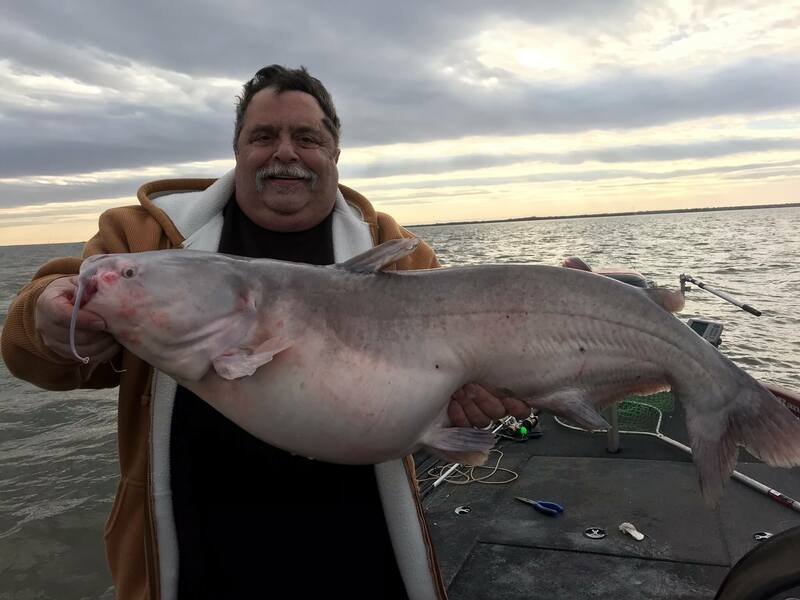 When I fish for Blue Catfish we are always fishing for the largest fish possible. I don’t charge extra for trophy tours like some guides. No matter what type of fish we are targeting we are always fishing for the largest trophy fish possible. 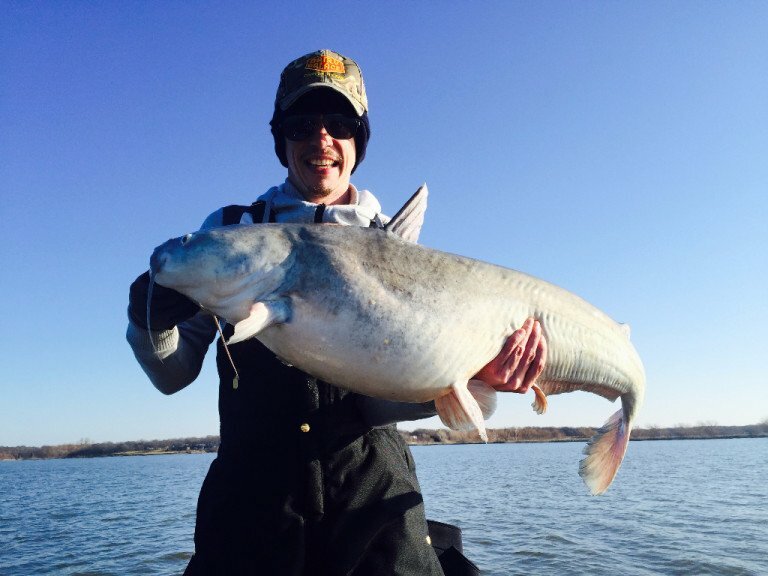 If you're looking for a Lake Lewisville Catfish Guide, I produce trophy-sized fish every year. I offer one of the best opportunities for Trophy sized fish in the DFW, North Texas area. 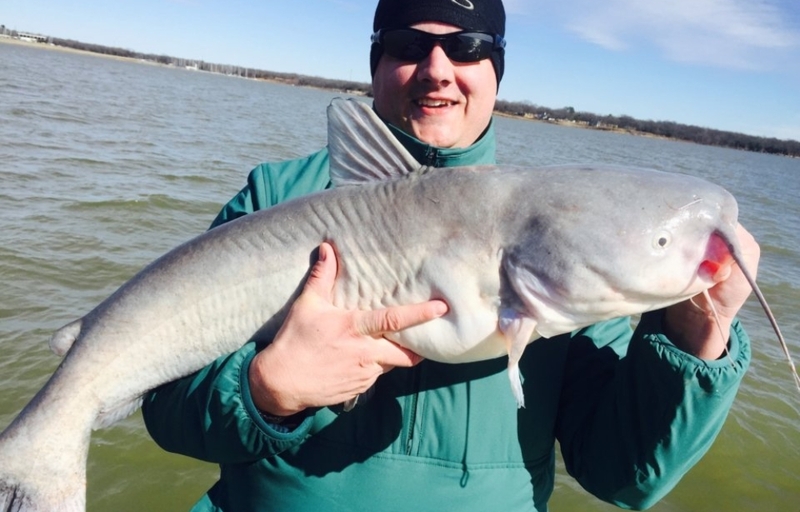 What's Biting on Lake Lewisville? 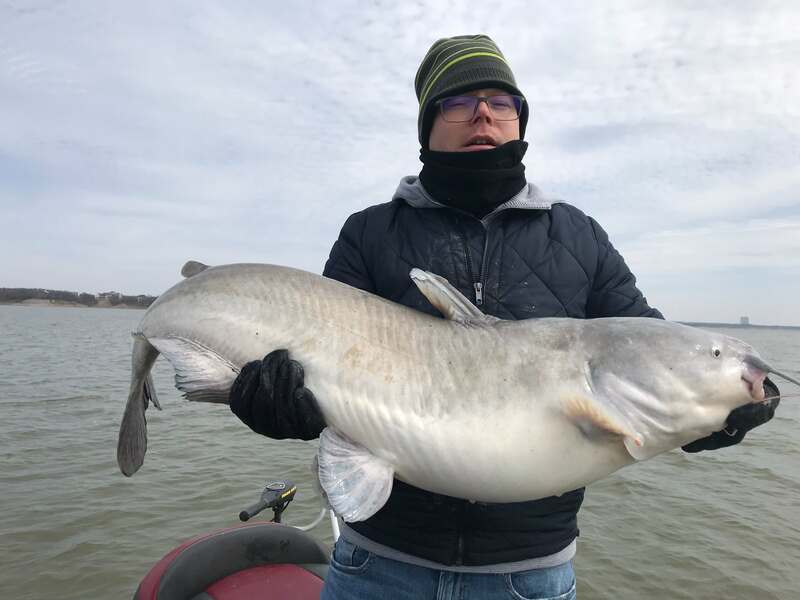 Most fish will bite year round, in Lake Lewisville. 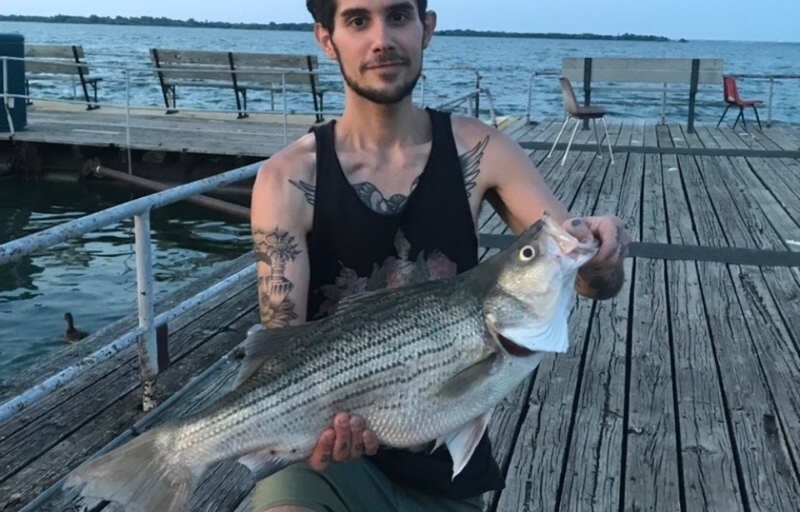 It helps to choose a Lake Lewisville fishing guide that is experienced with fishing the lake in all weather conditions. Spawning and weather patterns can cause certain fish species to feed aggressively, suspend or make runs to spawning grounds. 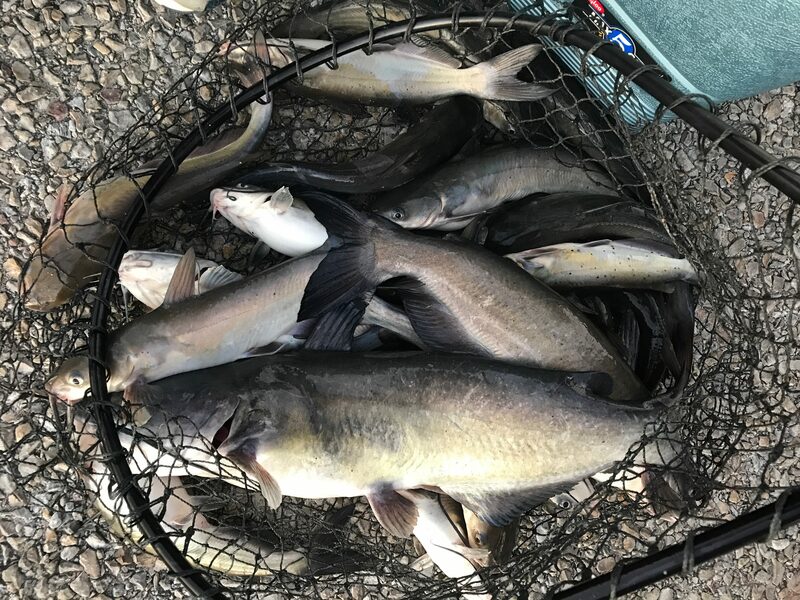 I offer year round Lake Lewisville fishing guide services, although some fishing is seasonal, there is always something biting year round. 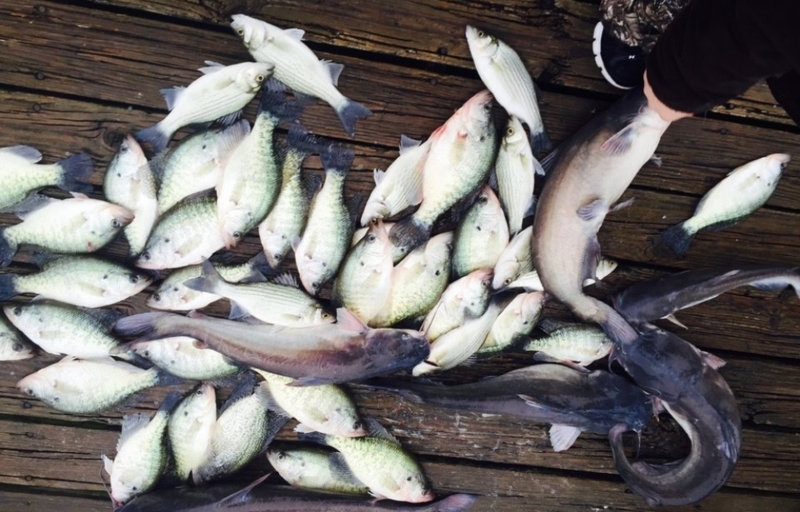 Blue Catfish, Sand Bass, Hybrid Striped Bass, Crappie are all feeding aggressively. 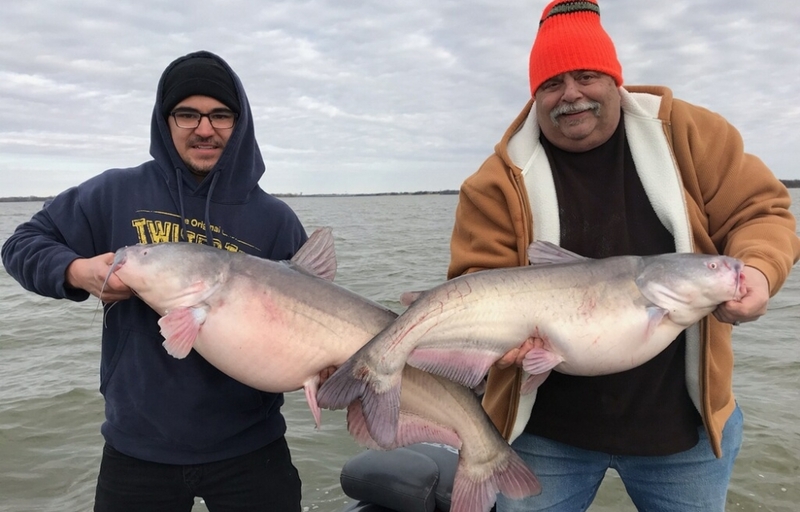 Late Winter and early spring are great for trophy Blue Catfish. Calm Winter days are also a great time to fish for Crappie. I am an excellent winter Lake Lewisville fishing guide. I can put you on lots of fish during the winter months. Depending on the temperature fish can be found deep and sometimes on submerged structure and pilings. Sand Bass, Crappie and Hybrids make runs to the spawning grounds and can be caught easily before the spawn and post spawn. Spring fishing can be some of the best fishing on the lake. Crappie can be found on the submerged brush and underwater structure, sometimes just feet from the bank. 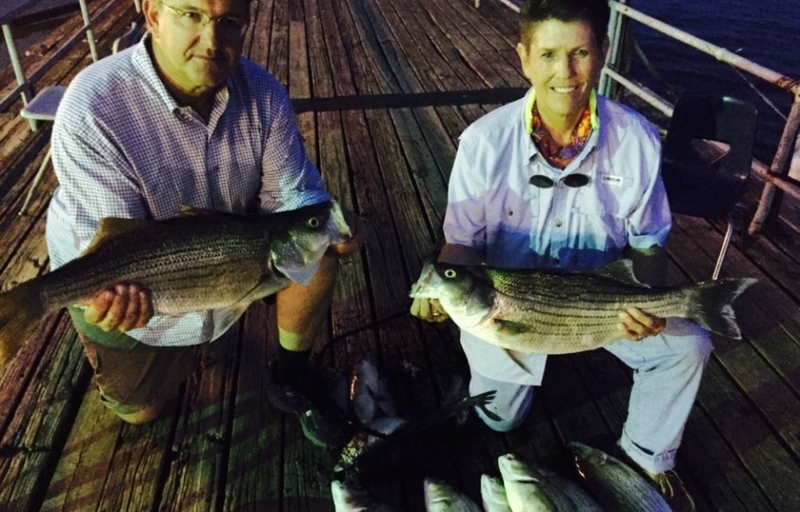 Sand Bass and Hybrid Striped Bass school up. They feed aggressively on Minnows, Shad, and Flies on the surface. During the warmer months, Sand Bass and Hybrids will attack their pray on the surface. Large Mouths are excellent on warm mornings and evenings and can be caught throughout the day. Summer fishing patterns continue until cold weather sets in. 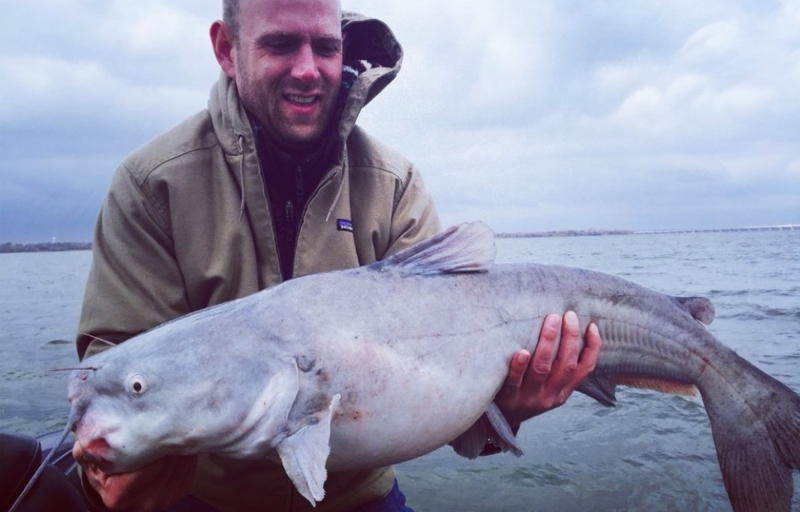 When the temperature starts to drop large Blue Catfish start to feed aggressively. Chasing Trophy Blue Catfish is one of my favorite sports, so don't miss out on this. 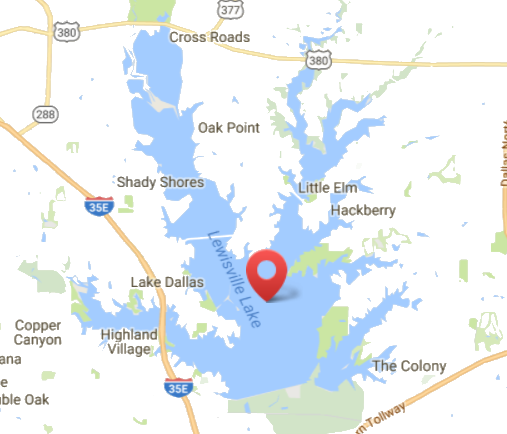 Description: Lake Lewisville was originally named Lake Dallas. Lake Lewisville is known as the urban fishing capital of Texas due to its close location to the DFW metropolis. The lake has existed is some form since 1927. The lake has been expanded to make the current Lake Lewisville. The Old dam that cuts across the middle of the lake is evidence of this history. There is a cut in the old dam that provides access to both sides of the lake. Hybrid Striped Bass fingerlings are introduced every year. 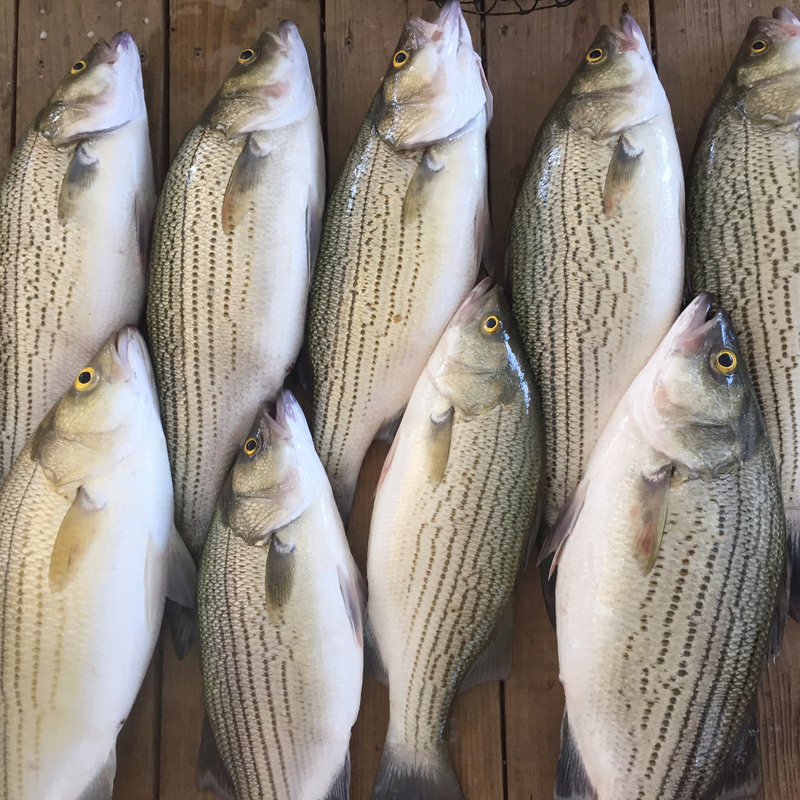 Hybrid Striped Bass provide an excellent angling opportunity for North Texas fishermen. Hybrid Bass are created by crossing Sand Bass and Striped Bass. Crossing the two created a fish that is tolerant and hard fighting. Sand Bass aka. 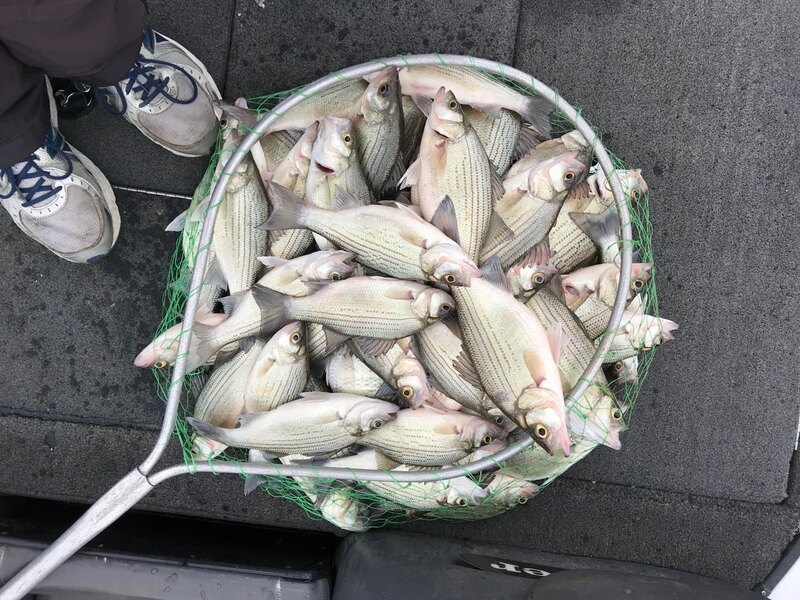 White Bass occur in Lake Lewisville naturally as they are native to the Trinity River. Sand Bass can be caught year-round in all weather conditions.  Description: Lake Grapevine is a smaller Lake. The primary fishing activity at this lake is for Large Mouth, Crappie and Sand Bass. 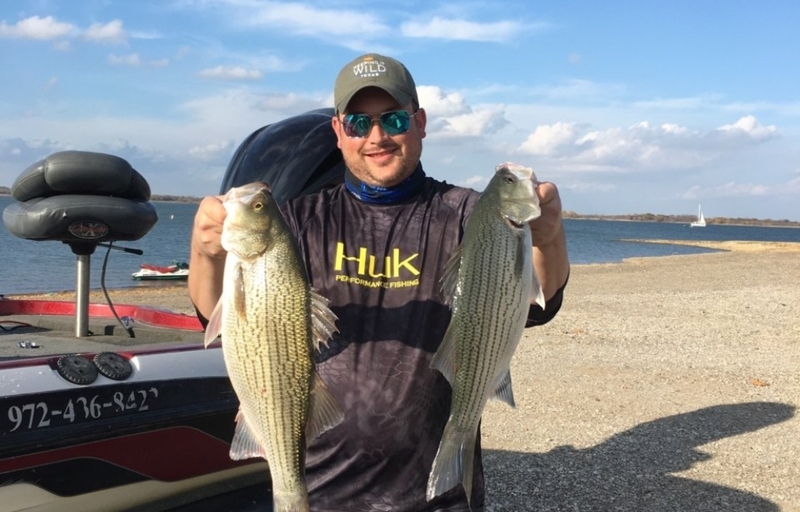 Lake Grapevine doesn’t have a Hybrid Bass stocking program so Hybrids are off the menu at Lake Grapevine. Lake Grapevine has been recently stocked by Texas Parks and Wildlife with Large Mouth Bass, and Small Mouth Bass. 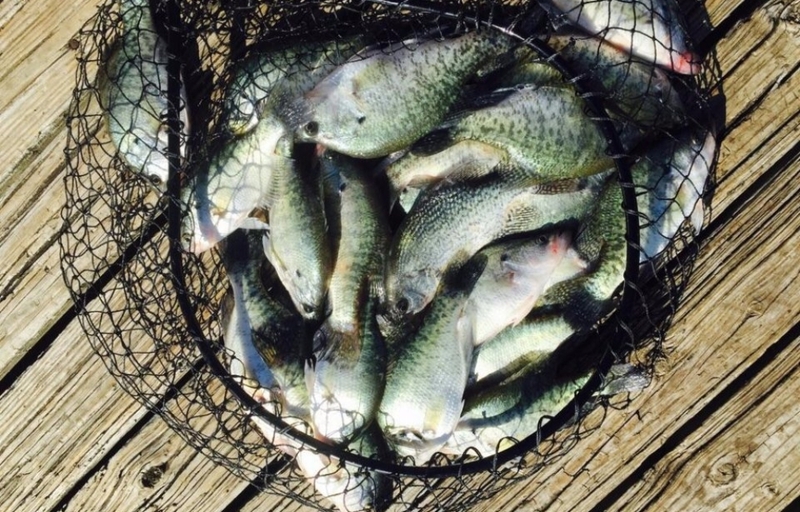 Lake Grapevine also sports a healthy Crappie and Catfish population. Docks, Marinas and rocky shorelines provide most of the fishing structure on Lake Grapevine. Sand Bass aka. 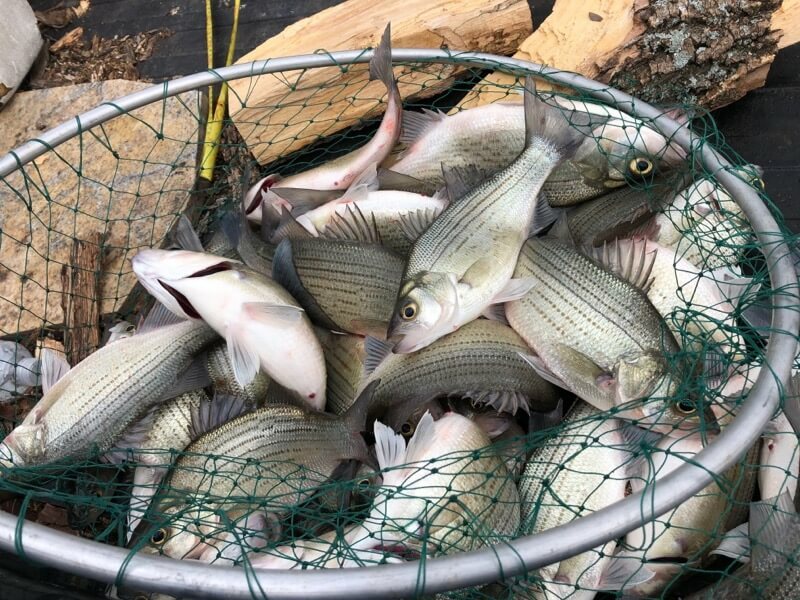 White Bass are in a natural abundance in this lake. Limits on Sand Bass are not unusual. 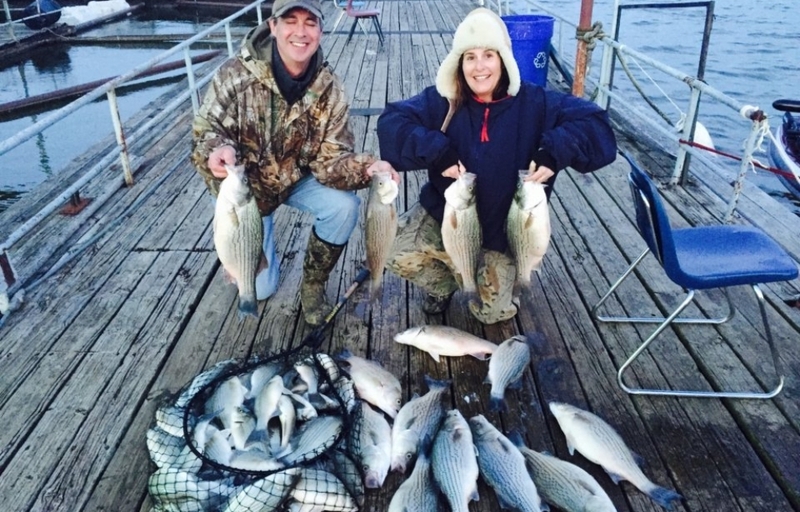 If you're staying at the Gaylord or Great Wolf Lodge resort, consider a guided fishing trip on Lake Grapevine. 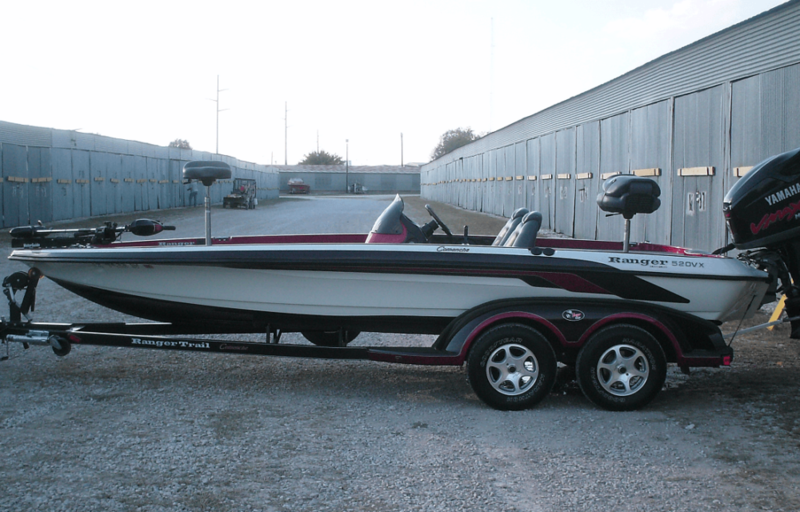 I am an excellent Lake Grapevine Fishing Guide and would love to guide your fishing trip. 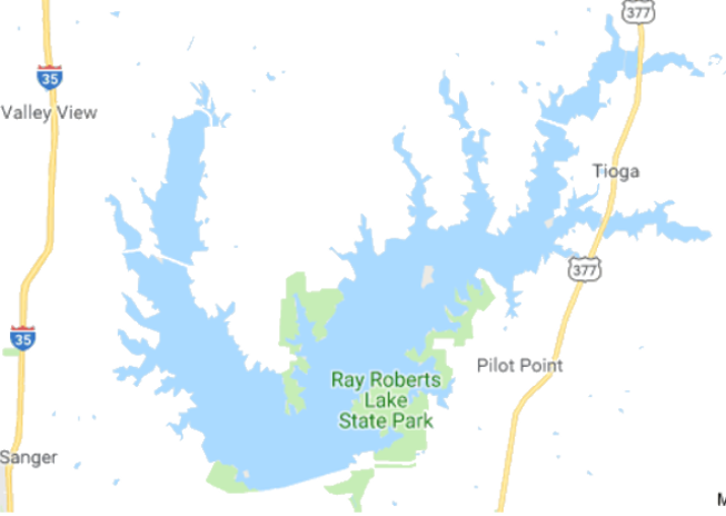 Description: Lake Ray Roberts is primarily a Black Bass fishing destination. Lake Ray Roberts is aggressively stocked with Large Mouth Bass by Texas Parks and Wild Life. Crappie and Sand Bass aka. 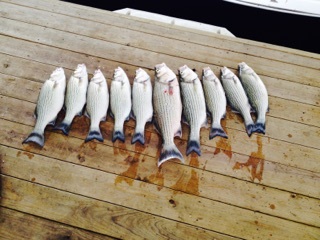 White Bass are also in abundance in the lake. There is plenty of standing timber and brush piles for anglers to target for Bass and Crappie. There is also substantial aquatic vegetation which serves as an excellent habitat for Black Bass. 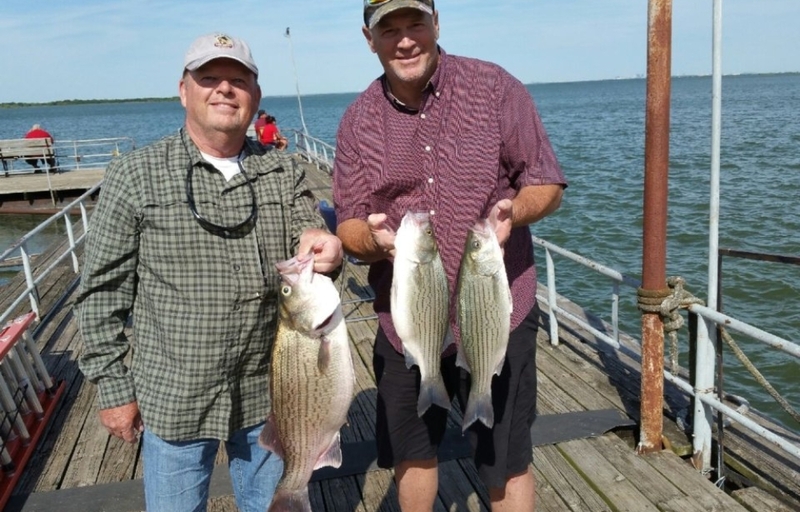 Lake Ray Roberts is a premier world-class Black Bass fishing destination. Catching 6-9 pound Black Bass is a regular occurrence on Ray Roberts. The lake record for Large Mouth is an impressive 15.18 pounds. 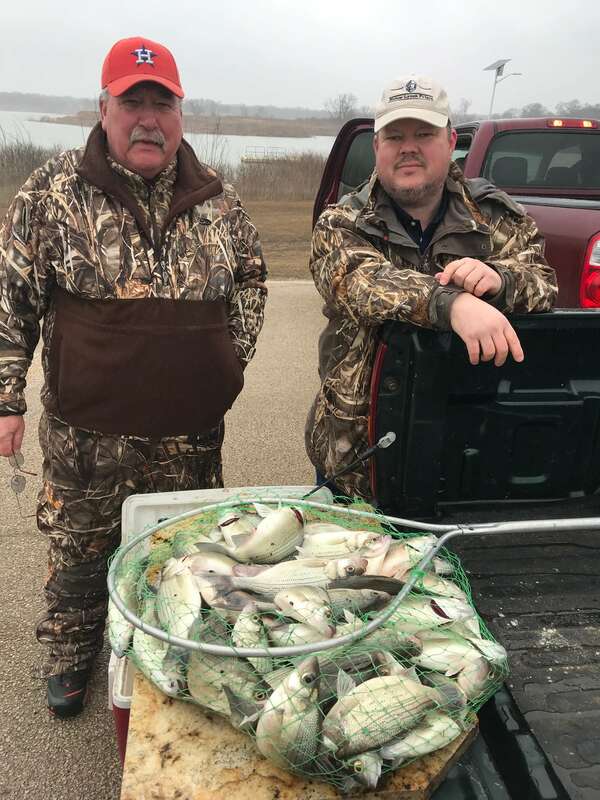 Crappie bite is strong right now up the creek, book now for an awesome crappie experience. Catfish coming in now. Crappie, Hybrids, Sand Bass & Black Bass all biting good right now. If you’re looking for a fishing guide service in the DFW, Dallas, North Texas area call me today. 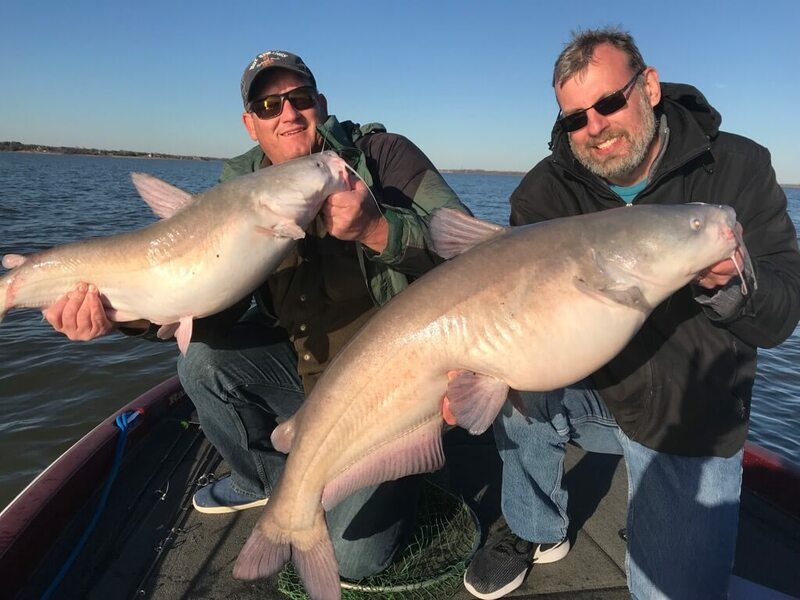 Book now for Trophy Blue Catfish and Crappie tours. 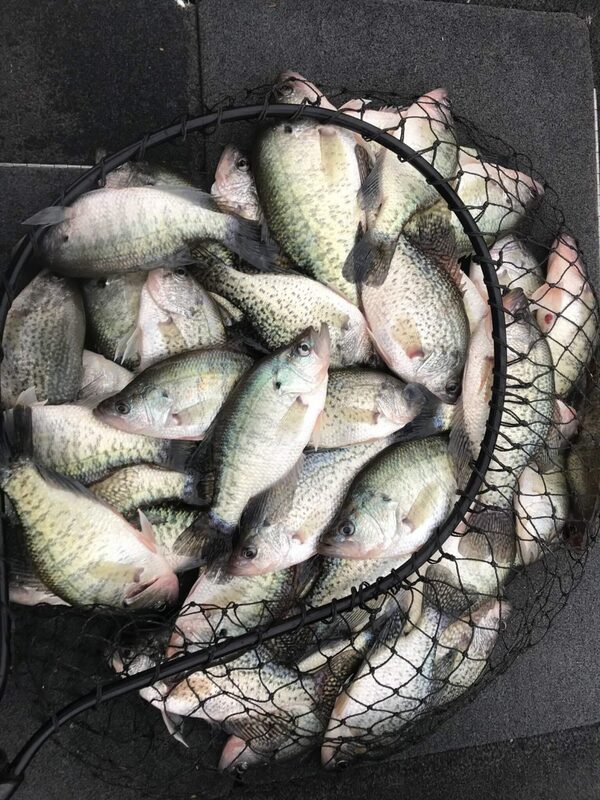 Crappie fishing on Lake Lewisville is good to excellent and will only get better as the spawn approaches. 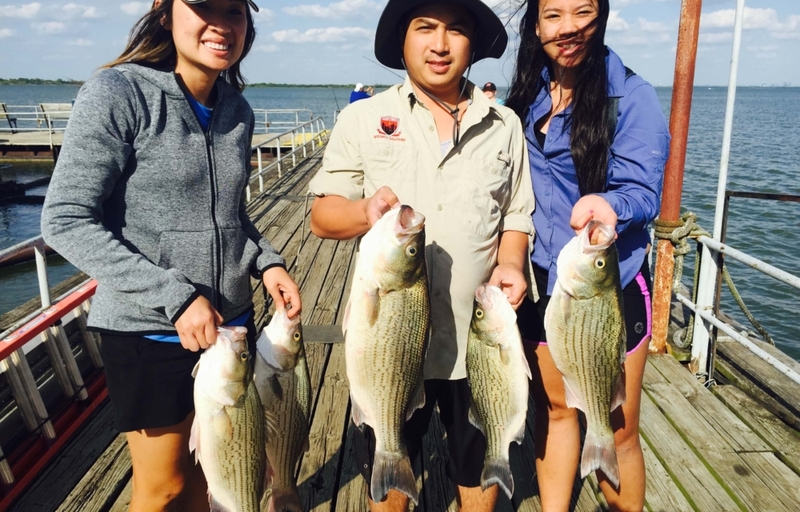 Call now to get on the books for Lake Lewisville Guided Fishing Trips. Its a good time to secure your date for the rest of the year.